A new SmileTown Langley Blog feature, the Smile Town Book Club Series will feature engaging, informative, and comforting books for children all about visiting the dentist. 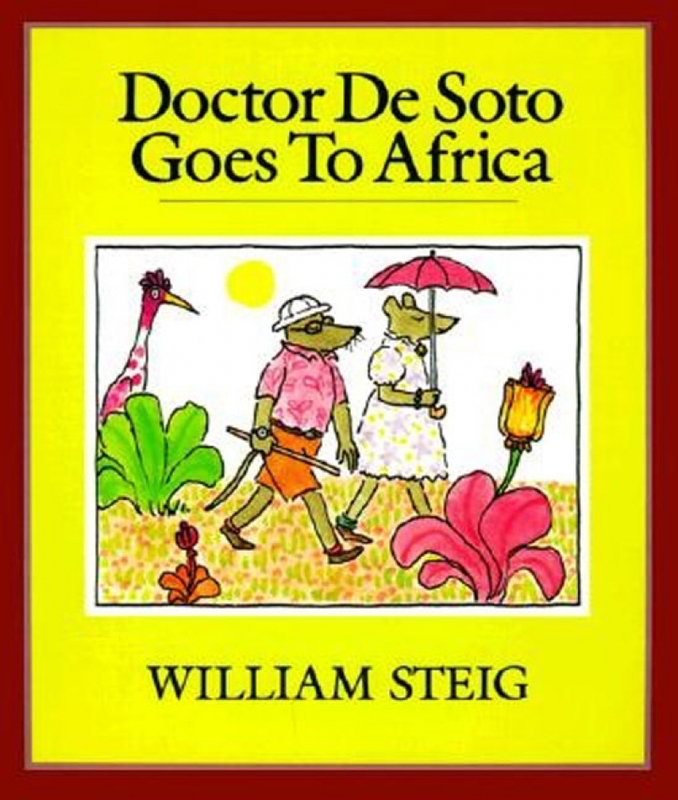 Our recent blog post that featured 5 Great Books to Prepare your Child for Visiting the Dentist, included the wonderful Dr. De Soto, by William Steig. Dr Bernard De Soto, the skillful mouse dentist, treats patients big and small (and of varying species) at his dental practice, with the help of his dental assistant and wife, Deborah. This first installment was about what happened when a fox with a terrible toothache turned up at Dr. De Soto’s practice one day. In Dr. De Soto Goes to Africa, the accomplished (and, it seems, world-renowned) mouse dentist receives a telegram from an elephant named Mundambo, who is in desperate need of Dr. De Soto's services. So, Dr. De Soto and Deborah pack their things and travel to Africa on a pain relief mission. But no sooner do they arrive on shore, than they are kidnapped by Mundambo’s arch enemy, Honkitonk, a resentful rhesus monkey. To find out how Dr. De Soto and Deborah manage this alarming turn of events, and if Mundambo ever gets the dental treatment he needs, pick up a copy of this fun, engaging book!